A modern washing machine. Now it's hard to imagine how you used to do without it. 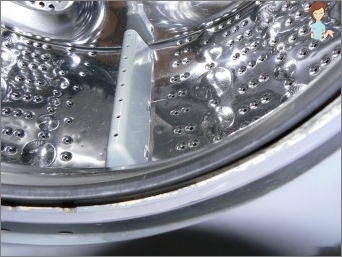 Learn how to clean a washing machine and it will last you a long time. In the life of every mistress, the day comes when herTrouble-free washing machine begins to emit an unpleasant smell of dampness and mildew, refuses to filter water or does not flow mercilessly because of strong blockages. All this is the result of ignoring the rules of using the unit and the unsatisfactory composition of the water for washing. Do not forget about the use of powders of poor quality. Even if you are extremely carefulAnd pedantry, you will not be able to avoid the problem of finding the answer to the question, how and how to clean the washing machine from an unpleasant ambre, mold or scum. It turns out that in such a situation it is quite possible not to call an expensive master, and with one's own hands to exclude the risk of equipment failure and repair of neighbors' apartment from below. Normally we just wipe the lid of the washingMachines, motivating it with the fact that it does not get dirty, and, in general, stands in an exceptionally clean bathroom. As a result, after a couple of months it takes a long time and methodically to wipe all the buttons and panels of the device from the dried spots of bleach, rinse, soap and other means. Therefore, if you do not want to completely wipe the stylalk immediately after use, arm yourself with a small brush, you can even use a toothbrush, a sponge and a dishwashing detergent. The latter should be diluted in water in a ratio of 5:1, after which the composition is applied to the machine and you can proceed. 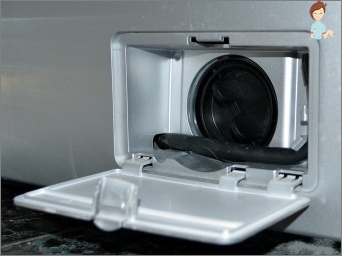 Brush and sponge thoroughly wash the door, sealing rubber, buttons and all hard-to-reach places. The procedure is completed by wiping with a damp and dry rag, after which you can proceed with cleaning the tray for powders and rinse aid. If the stylalka is used for a long period of time, its filter Cleaning is clearly clogged. As a result - an unpleasant ambience from the appliance, unsatisfactory water circulation and even flooding of the apartment. Before cleaning the filter of your washing machine. Place the low and flat pelvis against the applianceOpen the cover on its bottom panel, drain the water from the hose, pull out the filter and clean it from accumulated dirt, and from all sides. Do not forget to return the spare part to the place. On the urgency of such a procedure is usuallyIndicates an unpleasant smell coming from the washing unit. In order to overcome such an annoying trouble, a glass of bleach must be poured into the drum, put the machine in idle mode using hot water. After that, we press the button "pause", Leave the washer for an hour in the"soak". Then finish washing in the usual manner, dry the drum and leave the technique to dry with the door open. This should be done several times a month. Whatever it was, with mold in the stylalka it is necessary andIt is worth fighting, but doing it better regularly, taking preventive measures. For this purpose, mix the water and soda in the same amount, and the resulting composition carefully handle all the internal surfaces of the device. Pay special attention to the rubber seal, which mold "Prefers" most. Such rubbing should be repeated at least once a week. 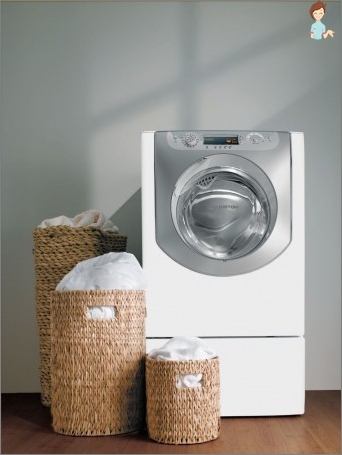 Clean your own washing machine with citric acid - then, save it from the plaque, Smell And mold. In a compartment for a powder or in the drum itself, pour 200 grams Lemon Acid, set the temperature of water equal to 60 degrees and activate the mode of prolonged washing. Scum, which comes into contact with acid,Begins to break down and go with the drain water. Do not load the drum with things and do not turn on the spin mode. For a better effect, you can add another rinse cycle. The procedure should be repeated no more than once every 3-6 months, which depends on the intensity of using the machine. By means of these components, it is possible to clean the washing machine remarkably-Machine for odor, lime deposits and fungus. In this case, 200 grams of lemon powder is poured into the tray in exactly the same way, and a glass of bleach is poured into the drum. We keep the same washing and water temperatures as in the previous version. The downside of this method is a rather sharpA characteristic smell, get rid of which will help open windows in the bathroom. After such cleaning with vinegar and bleach, your stiralka will sparkle with purity even in the most secluded and inaccessible corners. But to abuse its effectiveness is also not worth it, because the composition is able to corrode the rubber elements of the device. Before you clean the vinegar washing machine. Carefully inspect the equipment forPresence of fungus and unpleasant odor, since this method allows you to get rid of only these misfortunes. A glass of white vinegar is poured into the stylalki, it is switched on for a long cycle of washing using hot water. It is clear that you do not need to put things into the drum. As soon as the machine launches the first 5-6 minutes, we transfer it to the soaking mode and forget about it for an hour. We finish washing, wipe the rubber sealant, the door and drum, wipe it dry and leave the device ventilated. Of course, it is much easier to prevent the appearance of scale or an unpleasant odor. If you use concentrated and viscousRinsers must include an additional rinse cycle. And then the question of how to clean the washing machine, will arise much less often. Uniquely attract funds that soften the tap water for washing clothes. Before doing this, make sure that the water really needs to be softened.